As Colorado reports higher than expected tax revenue from the sale of recreational marijuana and Washington prepares to start issuing licenses in the coming weeks, it's clear the brave new marijuana world is on its way. But there's still plenty of clarification to come, and advertising is the latest area of dispute. 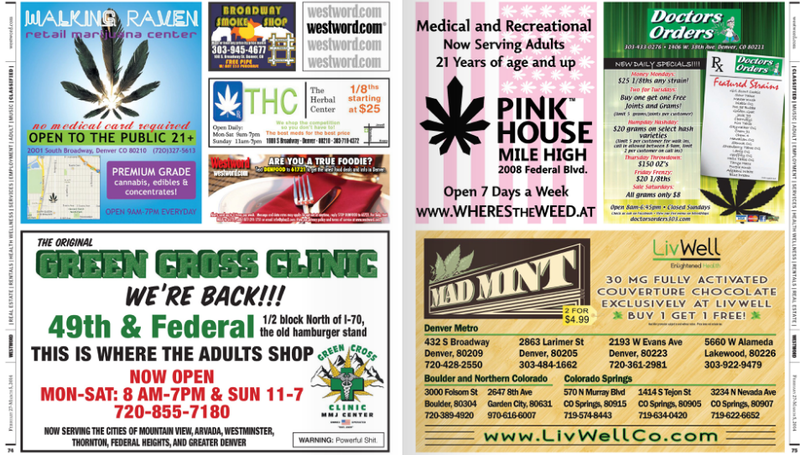 Both Colorado's and Washington's rules surrounding recreational marijuana include strict regulations about how growers, processors and sellers can advertise their businesses. 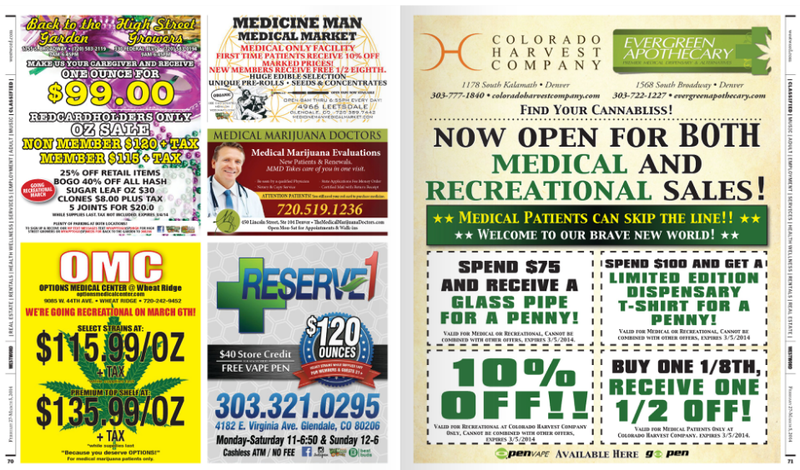 In Colorado, businesses are allowed to advertise in adult publications: "A Retail Marijuana Establishment shall not engage in advertising in a print publication unless the Retail Marijuana Establishment has reliable evidence that no more than 30 percent of the publication’s readership is reasonably expected to be under the age of 21." That bit about the so-called "thousand-foot rule" is key. That rule also governs where marijuana businesses can be located. In this context, it's limiting because publications are virtually unable to guarantee that they wouldn't be distributed within 1,000 feet of places like schools and parks and because newspapers are offered for free inside of libraries. If that does away with print media advertising, what about local news or radio stations? Brian Smith, a spokesman at the Washington State Liquor Control Board, which is regulating the new market, says that since TV and radio are regulated by the FCC and the drug remains federally illegal, it's likely we won't see pot advertising there either. "I don't see a channel," he says in an email to the Inlander. The law does allow businesses to advertise on their premises as long as they follow certain size restrictions and don't appeal to children. Off-site, they're required to follow the rules above. So, a marijuana store could advertise on a billboard, for example, as long as they followed the thousand-foot rule and, again, didn't appeal specifically to minors. Violating advertising rules in Washington can result in fines and, if repeated, potential license cancellation, as seen below. Keep in mind this doesn't affect medical marijuana businesses, which are not (at least not yet) regulated by the LCB and which already advertise in newspapers in the state. It also doesn't cover third parties, like head shops, marijuana lawyers or events like Seattle's Hempfest. If this whole thing leaves you with First Amendment questions, you're not the only one. While Washington's experience remains to be seen, Colorado's rules have already sparked a lawsuit. 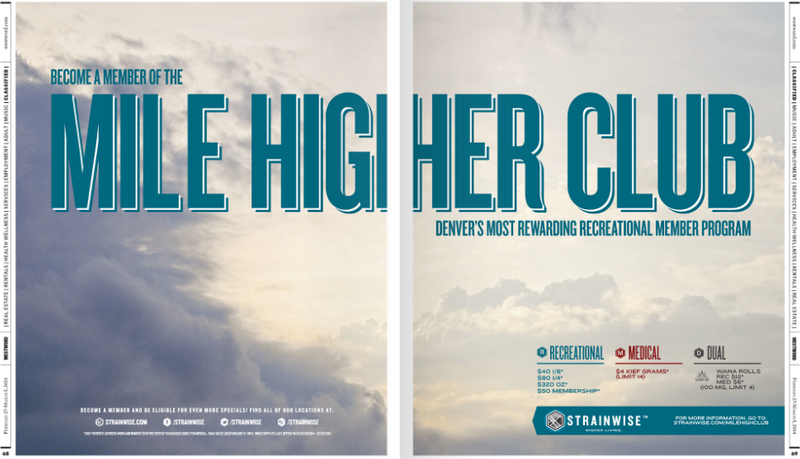 Marijuana magazine High Times and Denver's alt-weekly, Westword, are suing the state of Colorado, arguing that magazines are “chilled from soliciting advertisements from prospective clients and prevented from making revenue from clients who wish to engage in advertising concerning marijuana-related products and services,” reports the Denver Post. Another case in the state won a similar argument when the state's Marijuana Enforcement Division decided a rule requiring marijuana magazines to be kept behind the counter at stores that sell them was unconstitutional.